Duri Cosmetics introduces their Fall 2017 nail polish collection, Masquerade. According to Duri’s creative director Tatiana Dubrow, the collection, which ranges from dusty pastels to daring mid tones, creates a sophisticated palette of wearable shades. 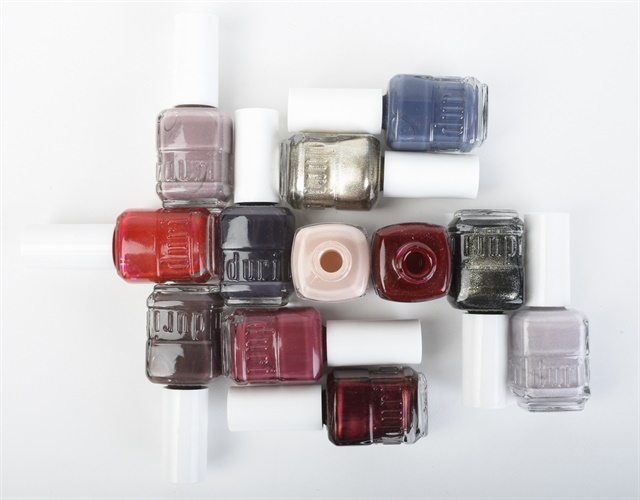 The polishes are 5-free and contain no DBP, toluene, formaldehyde, or allergens. The 12 colors include Ha Ha Red, a bright red; Lure Me Blue, a dark, dusty navy; Forbidden Kiss, a light shimmery gold; and more, including glitters, pearlized, and glossy finishes.